I have a declaration to make. 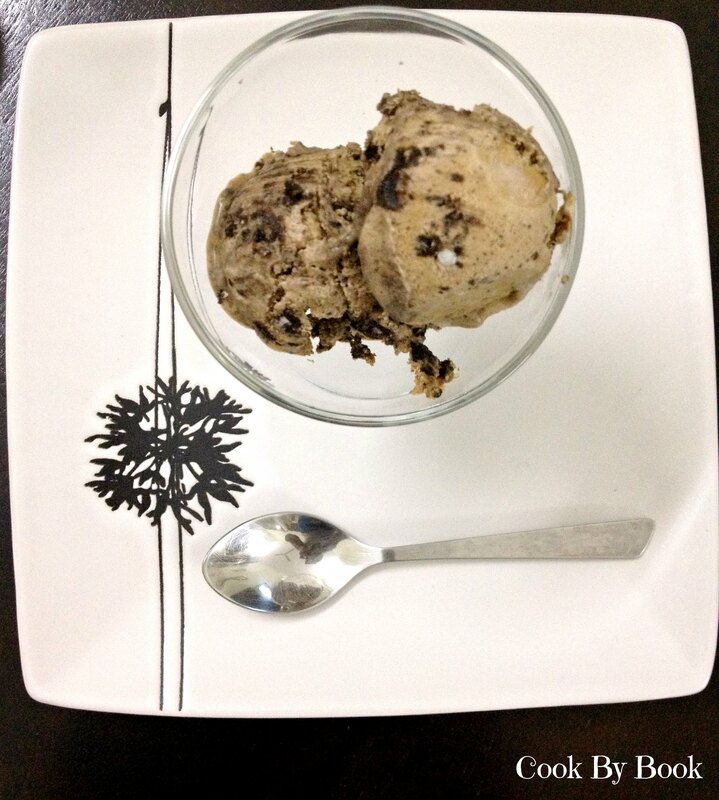 This is by far THE best ice-cream I have ever made! Seriously!!! 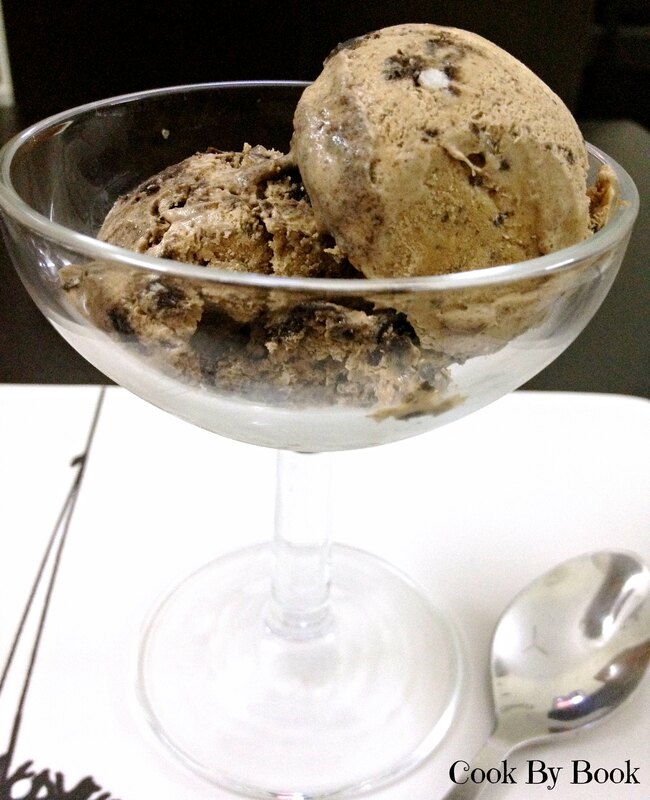 It’s so good that I could not believe this was made by me at home without the use of ice-cream maker. It came out so perfect, it was definitely to die for! It was tart, light, refreshing, tangy, sweet, velvety… Lick-your-bowl good if you still don’t get what I mean! Everything you want your lemon ice-cream to be and more! This ice-cream definitely screams SUMMER! 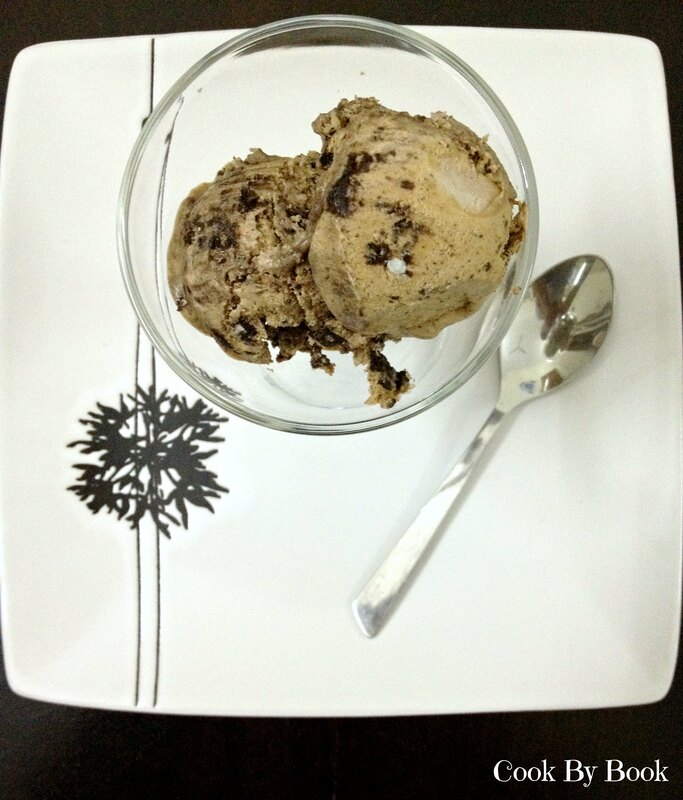 We are making this one little bit differently than how we were doing with our previous ice-creams. First, we need to make lemon curd for the base and then fold it in with whipped cream. That’s it! Lemon curd is wonderful and super easy to make. It is so versatile that apart from using it in this ice-cream, you can use this as a filling for your tarts, pies and cakes or simply as a spread for your scones! We are going to cook the lemon curd in a stainless steel bowl placed over a saucepan of simmering water aka double boiler. It will only take about 3-4 minutes to cook. So let’s get down to the business! In a stainless steel bowl placed over a saucepan of simmering water, whisk together the egg, sugar and lemon juice until blended. Cook, stirring constantly (to prevent from curdling), until the mixture becomes thick. This will take about 3-4 minutes to cook. Remove from heat and immediately pass the mixture through the sieve to remove any extra lumps. Whisk in butter and lemon zest. Let cool. It will continue to thicken as it cools down further. Freeze it till cream is ready. Whip the fresh cream till soft peaks form. Gently fold in the chilled lemon curd. If it is too tart for you then add more cream as per your taste. 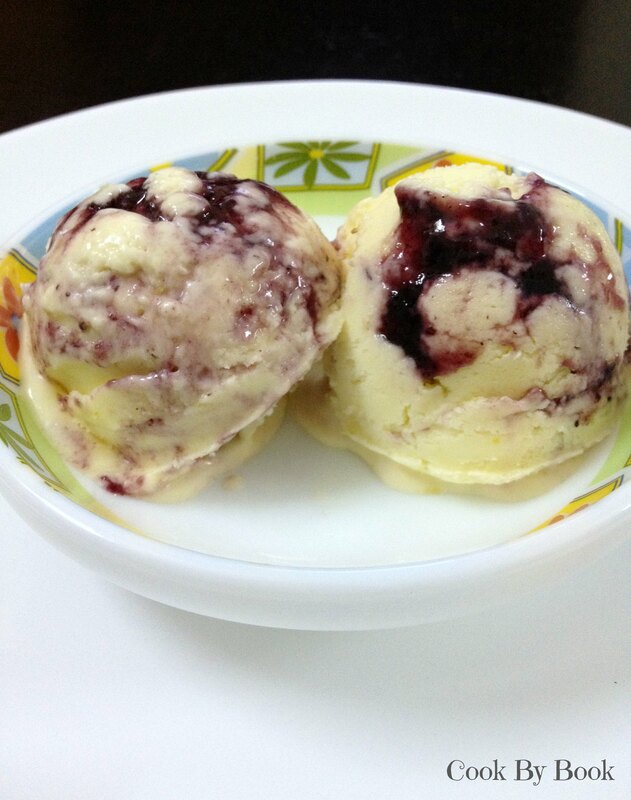 In a small airtight container, spoon in half the mixture and top it with blueberry compote, top with rest of the mixture and freeze for 4-5 hours before serving. Serve it topped with fresh blueberries and dig in! *Tips: Lemon curd has to be made with fresh lemons. Juice lemons at room temperature to get more juice and strain the juice to remove any pulp from it. While grating the zest from the lemon, be sure not to remove pith (white membrane) from the lemon as it is very bitter tasting. Cold lemons are much easier to zest. You can use a zester or fine grater for this. Do this just before using as the zest will lose moisture if it sits out too long. You do not think that ice-cream week on blog will go by without the addition of an ice-cream whipped with our fave seasonal fruit to my repertoire? Of course not… I wouldn’t let that happen! 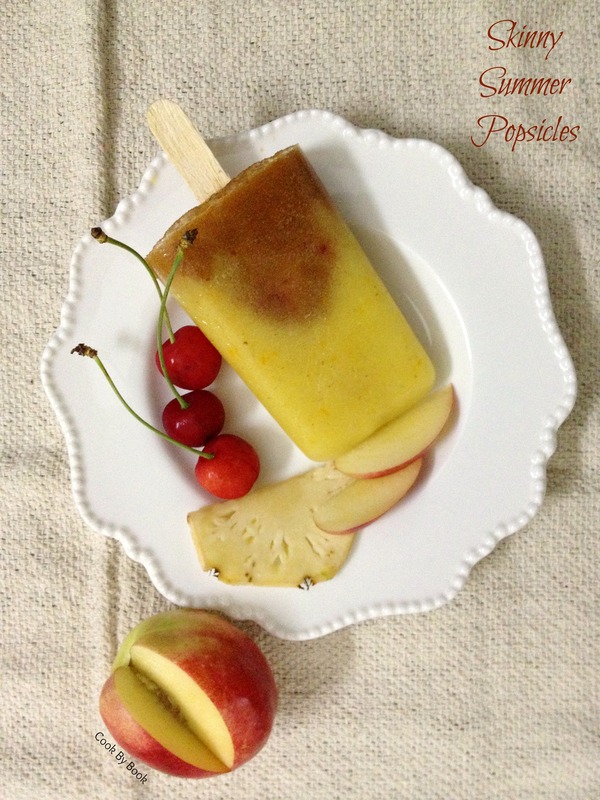 And yes.. You have guessed it right… You know how much I love my mango and they taste best chilled.. So while deciding on 7 flavors to be included in this week-long marathon I am participating alone in (!sigh! ), mango unquestionably topped the list! 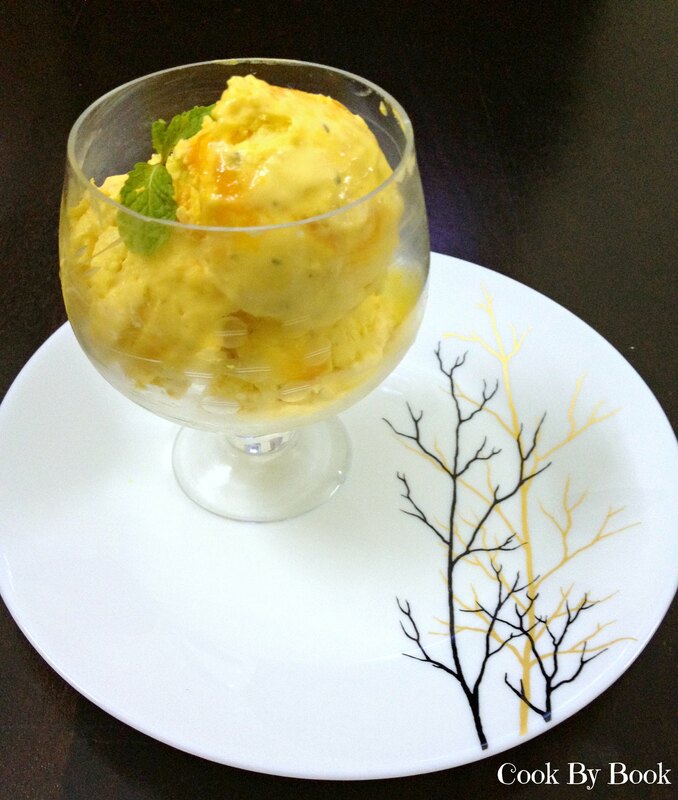 But just the plain mango ice-cream wouldn’t do the justice to the ‘ice-cream week’ as the idea is to create something really special in the comfort of your home and without the use of ice-cream maker. 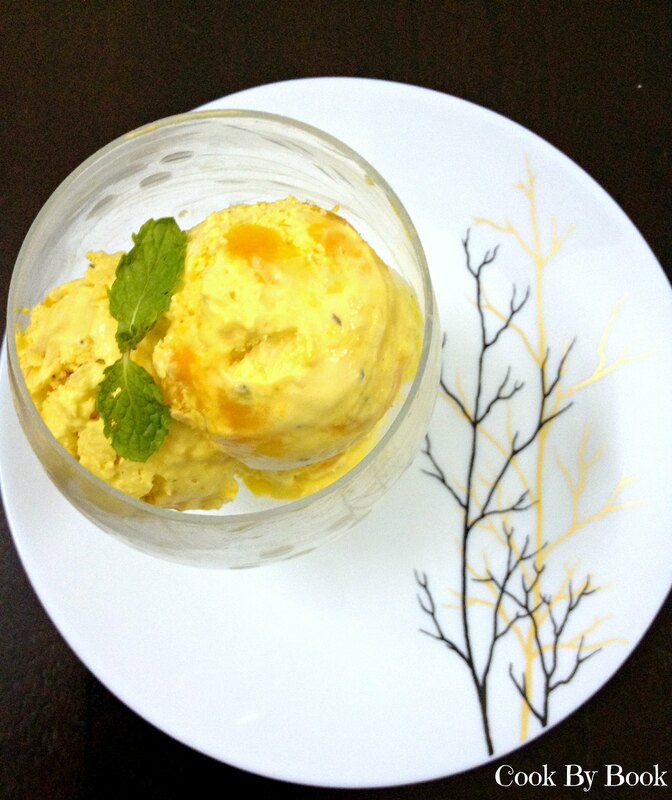 Plus, perhaps there are zillion versions of plain mango ice-cream already doing rounds on the internet. So why do another version just like what is already there! The hunt for that perfect combination started… What do we know and what have we learnt? 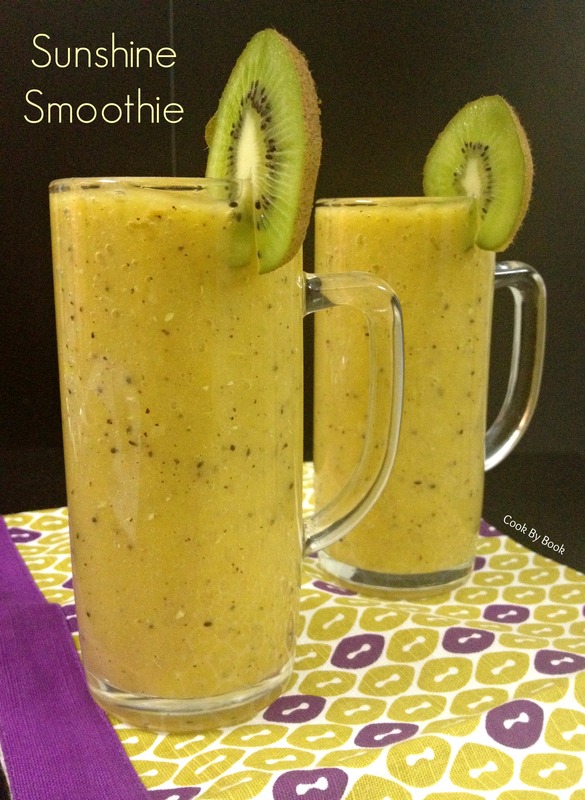 Mangoes are sweet, juicy and succulent fruit which goes really well with fresh mint. Remember this? 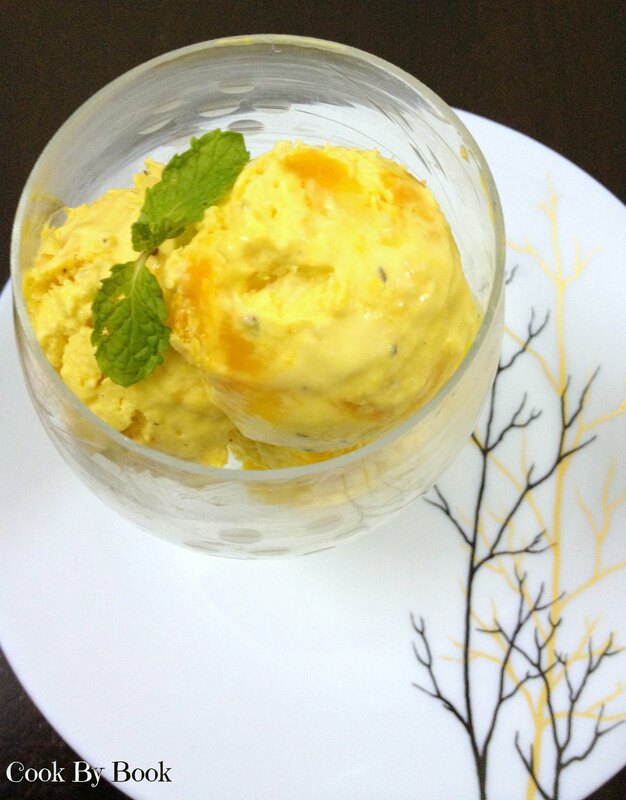 Toasted coconut and mango chunks would add a bit of a texture to the otherwise perfectly creamy smooth ice-cream.. And a dash of lemon juice to cut that sweetness.. Done deal! 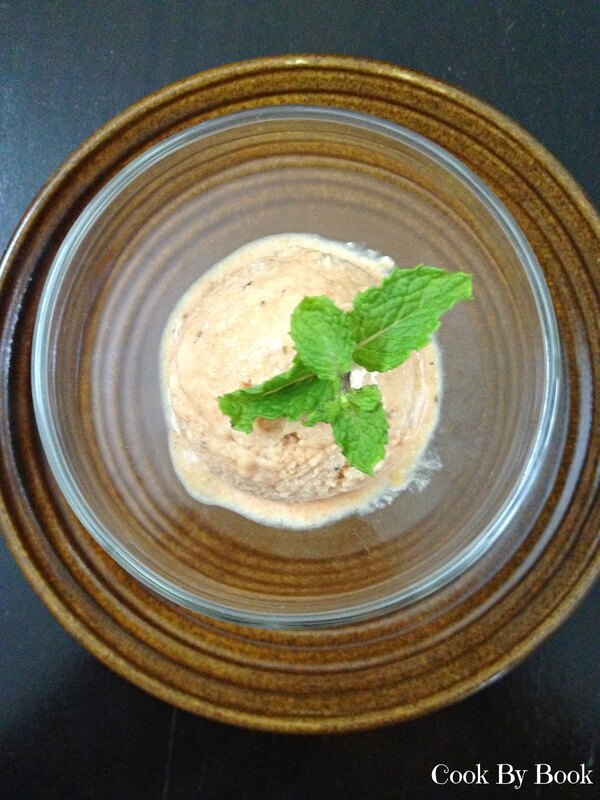 Bringing the flavor of fresh mint to the cream was an easy thing. I used the method which worked perfectly for me here. I added mint leaves to the cream and let it sit in the fridge for at least 4 hours. Trust me the flavor kick was there without adding even a drop of mint extract! I toasted the desiccated coconut using gas stove itself though you can use oven, I am more comfortable with this method as I am scared of getting burnt coconut in the oven. Let’s get started then! Toast the desiccated coconut in a pan over a medium heat on gas stove. For oven: Preheat the oven to 350 F/ 170 C. Put the desiccated coconut in baking tray and bake for 3-5 minutes. Keep a close watch as you do not want burnt coconut. 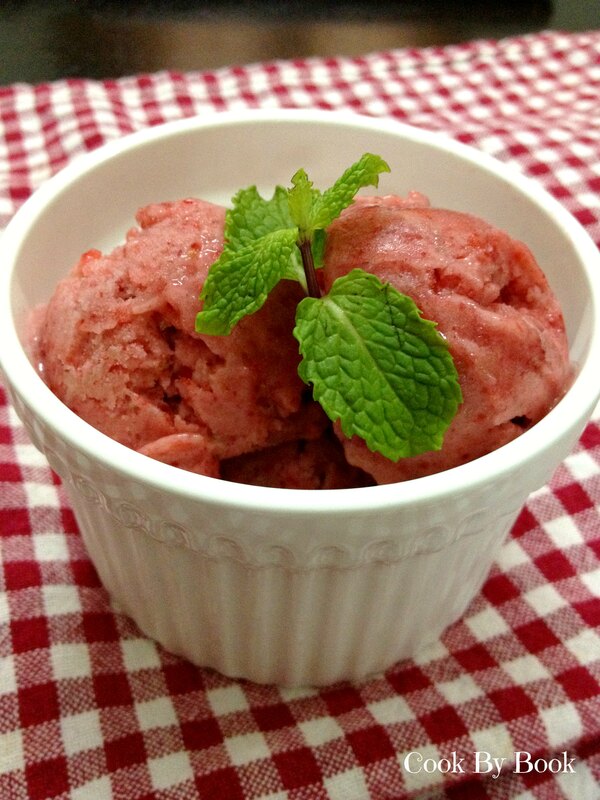 Mix cream and mint leaves in a bowl and refrigerate for at least 4 hours to extract the flavors from mint to cream. Use sieve to separate mint leaves from cream. Add sugar to cream and whip till you get soft and fluffy consistency. 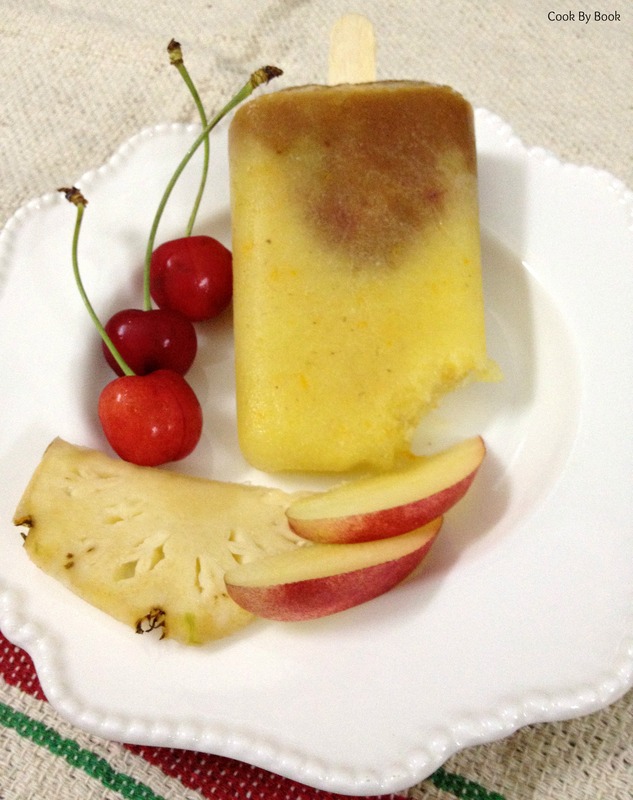 Gently fold in pureed mango, lemon juice, toasted coconut and diced mangoes to the cream and spoon the mix in airtight container. Let it freeze for 4-5 hours and serve it. 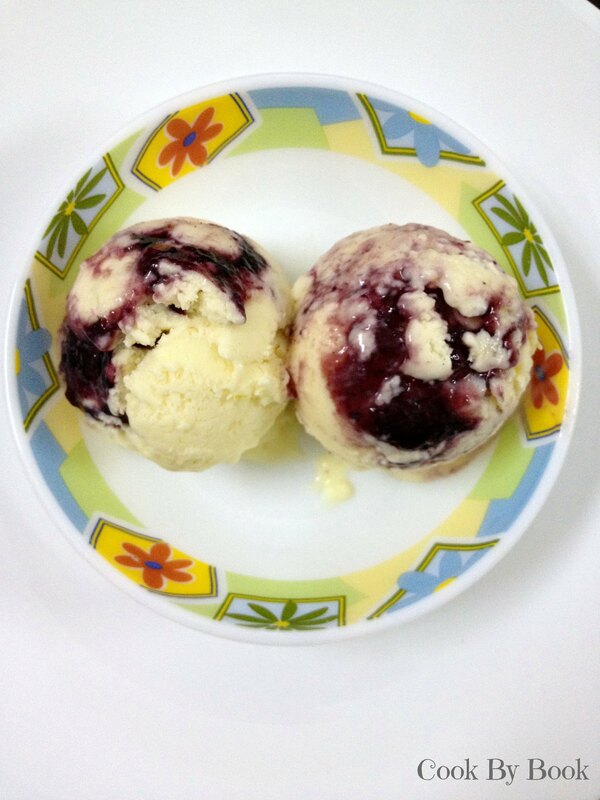 *For any left-overs, let the ice-cream thaw for 15 minutes before serving. Run hot water on the ice-cream scoop before scooping the ice-cream out. 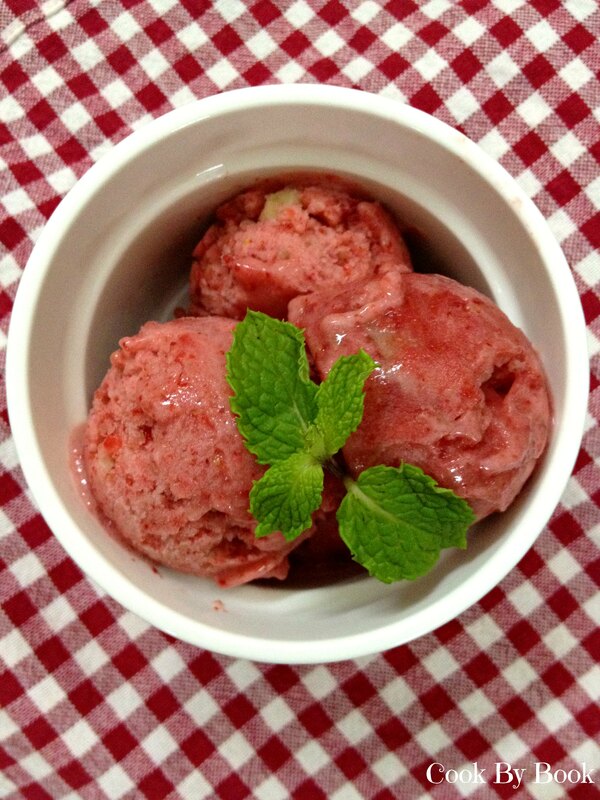 I am soooo thrilled to host a ‘No-Churn Ice-cream Week’ on my blog! This is going to be a first hand experience for me to be blogging around one theme throughout the week. Challenge accepted! 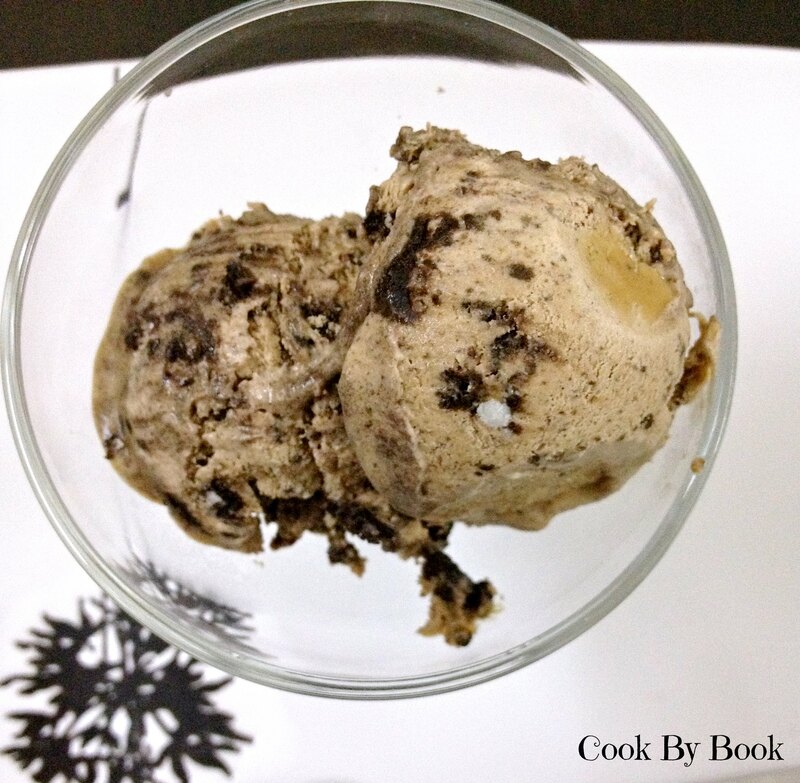 Coming first in this series is Coffee & Nutella Ice-cream with Oreo Chunks… Oreos and Nutella are kids’ favorite and a kick of caffeine will make it gratifying for adults too.. So all in all it is a win-win-win for everyone! 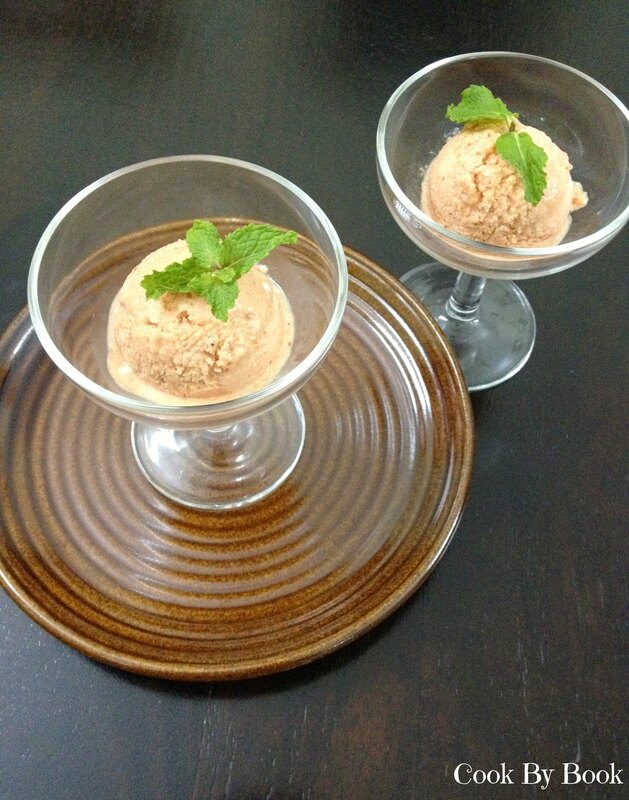 The ice-cream has only 4 ingredients! Don’t believe me? Believe me!… Only 4 ingredients… Okay if you count few droplets of water as an ingredient then 5! You might have all these ingredients already in your pantry so no extra trip involved to supermarket! So whip this up right away and surprise your kid with it when he is back from school, treat your hubby with it when he is returns from office or just pamper yourself! In a large bowl, add hot water to instant coffee-powder and dissolve coffee completely. Add Nutella and cream to this and whip till you get a light, fluffy mix and soft peaks form in the mix. Oreo chunks to this mix (In a zip-lock bag, add Oreo cookies and use roller-pin to form chunks). Fold in Spoon the mixture in a airtight container and freeze for 4-5 hours. Your ice-cream is ready to be gobbled up!